for producing any wines let alone quality wines. sometimes very destructive and very strong , for thousands of years. the vintners are now scrambling to purchase vineyard property in the region. Among 200mt. to an elevation of 1,100 meter, one the highest commercial vineyards in the world. Such high-elevation vineyards present some unique problems for vintners. so most of the tending and harvesting of the vines has to be done by hand. Winters at these high elevations can also be harsh and the summers hot and dry. You have to be committed, patient and tough to run a winery on Mount Etna. Etna’s soil is rich with volcanic nutrients that are very important to growing grapes. The high elevation vineyards are also an inviting environment for growing grapes. In this area the vineyards benefit the hot Mediterranean sun and also the warm Mediterranean breezes are conducive to an extended growing season. Here below Gambino Winery Vineyards. Usually I suggest to do 2 wineries but on request can do also 3 wineries. On Murgo Winery you can have Sicilian Spumante Brut white and rosè, Etna white wine and red. all this accompanied with a chopping borad of local ingredients. Approx 13.00pm. we drive towards Gambino Winery where you'll introduce to this and start to enjoy Wine tasting with 1 white, 1 Etna Rosè, 3 red wine. It is possible here to enjoy a typical Local lunch. We can be ready at 16.00pm. to go back at your location where we can be at 17.00pm. Like Villagrande or Vivera or Planeta, or Scilio. After seen from where we start and go back will be more simply for me to give you the correct Price. The Short Mt. Etna Volcano Experience of 5 hours two sides. Here we have the Sivestri Craters - Last Eruption 1892 for 6 month. to enjoy the biggest lava flow of 1669 and 2001. Pick up can be from Taormina, Castelmola, Letojanni, Giardini-Naxos. to enjoy gorgeous views landscape with fantastic sceneries on Etna. I would like to say magical, almost lunar ... we will do several stop in nice view points in order to give way to take pictures. Once we are at 2000mt. you can visit Silvestri Craters who of this line are in seven, where you can walk on the top line of them and explore it, from here i can show also the oldest lava flow of 1669cs. that distroied Catania and one more..last biggest on this side of 2001.
to spend more time inside the oldest lava flow of 1669 and 2001. 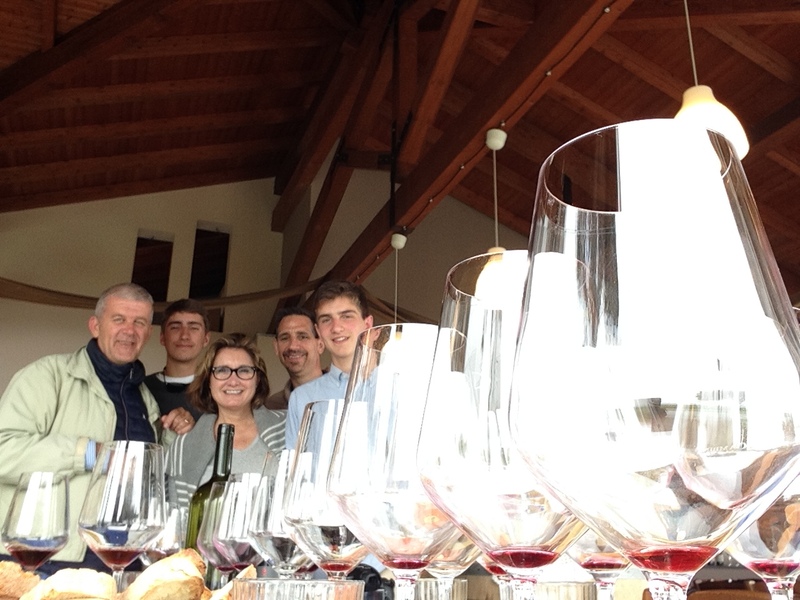 Castiglione di Sicilia, Linguaglossa and a visit to Gambino Winery. This tour is tailored to enjoy a full immersion in the Sicilian life style, with gorgeous scenery, from Taormina we drive direction the Alcantara Valley with a short stop to Calatabiano, then you will enjoy a short view just from the top of the Alcantara river with the Lavic-Basalt stone Gorge, this Gran Canyon probably it was formed during a large earthquake on this zone, then to the oldest small hill village of Motta Camastra, small village built on limestone houses with rooms inside the rock, very unusual visual experience to enjoy. after this we drive towards Castiglione, on the way we will stop to admire again Alcantara river near where it flows and born, finally when we reach Castiglione we enjoy a nice walking around the peak of the mountain, from where one can see some ruins of Castle. The houses in the centre still conserve its medieval authentic character, Today you'll feel a real environment of Sicilian Village, where history, uses and culture awaiting you. Later we following our drive surround Etna direction Linguaglossa for a short visit, after all this we drive to reach Gambino winery located in Petto Dragone area close to this beautiful town, here in Gambino you can also enjoy one fabulous meeting with our Life style, visit to winery with an wine expert that will following you for all the time, of course wine tasting with a typical Sicilian lunch brunch. This is a way to understand more about us. The short MT. Etna Volcano with the old Sicilian village of Castiglione Siculo plus Alcantara Gorge, Today we drive up from Nicolosi side, north Catania, let me invite you to rejoice this unique and spectacular itineray. Geological tests suggest that Mount Etna initiated activity around six hundred thousand years ago. After millennium of eruptions the 'mungibello' boasts of more than 400 craters spread over 45 kilometers square and stands a mighty 3350 meters, making it the tallest active volcano in Europe. Visiting Mount Etna is a unique experience in the whole world. While you can go skiing on its safe slopes in winter and cooling off the warmth of the Sicilian summers at its peaks, during spring you can perform a matchless practice where you can go skiing in the morning and swimming in the afternoon. We can start at 9.00am from your stay, proceeding to Nicolosi, a village south of the mount, where you can see the lava flow from the great eruption of 1669 who destroyed Catania in totally, and also other one of 2001 which miraculously stopped at the gates of this village. After, we climb to 2000 mt. to stop at Refuge Sapienza for visit Silvestri Craters, where you can have an easy-going trekking, suitable for most fitness levels, then next stop in Zafferana Etnea to the east of the volcano to admire the flows of 1979, 1982-83 and 1992. During this way you can enjoy the unusual changing of the landscape from dark volcanic atmosphere to chestnut and pine. The breathtaking Unknown Tour in the Sicilian Nebrodi ; Randazzo and Montalbano Elicona. This tour is tailored togive you unparalleled experience in the North east Sicilian mountains, we will start our Journey from your place to reach Randazzo, Its on the slopes of Mt.Etna at 765 meters. from sea level of medieval origins, but here have had lived the most diverse civilizations,from Greeks, Romans, Byzantines, Jews, Arabs, Normans and Aragones, here we will enjoy the majestic Cathedral of St. Maria, in Norman-Swabian style,the work in Basalt lava stone from Etna began in 1217 and ended in 1239, but in the future many times were made of the improvements.Here also we can taste some local cheese with some salami of Nebrodi porc, on Sunday we can meet the open local market, after this we can enjoy one unique and unrivaled driving through the woods in the area with views that are unmatched in every season of the year, we approach to one of the most beautiful medieval hill-towns in Italy,Montalbano. http://www.comune.montalbanoelicona.me.it/ The most significant architectural historic element of Montalbano Elicona is the castle that dominates a haphazard and tortuous medieval urban fabric, which runs up and down the alleyways, molding to the shape of the rocky promontory. The small houses built of sandstone are full of authentic history. Built on pre-existing Byzantine and Arab Castle is made at the top by a Norman-Swabian fortress and down palatium fortified Swabian-Aragonese. The upper part, a rectangular fortress, is closed at the end of two towers, one square and the other, typically Swabian, pentagonal, with the function of the male. Swabian period goes back to the embattled perimeter walls is the defensive configuration "saettiere" most important and best preserved in Sicily. The Angevin phase is dated 1270 engraved in the lining of the large cistern. To King Frederick II of Aragon must instead the reconstruction of the building and its transformation from fortress regiae aedes, royal residence for summer sojourn (1302-08).